Beyond providing data for all 32 NFL teams, PFF also supports network broadcasters with game-preview packets that are used to enhance the in-game experience for fans and viewers. 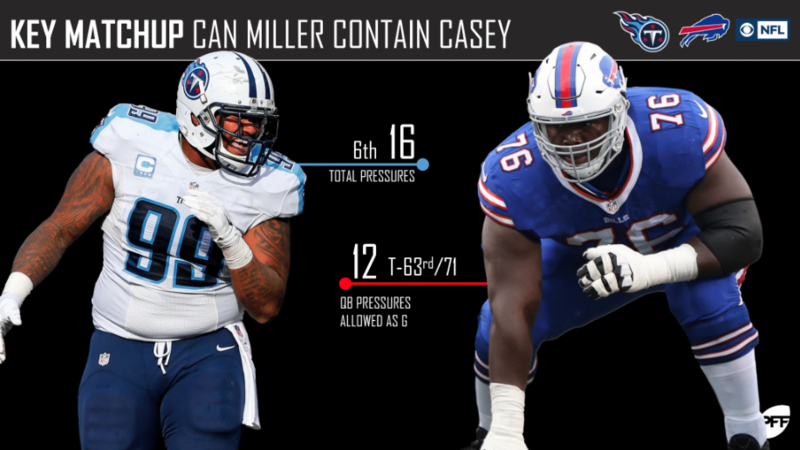 This Titans-Bills preview features the same information our broadcast partners use for team research and in-game production. 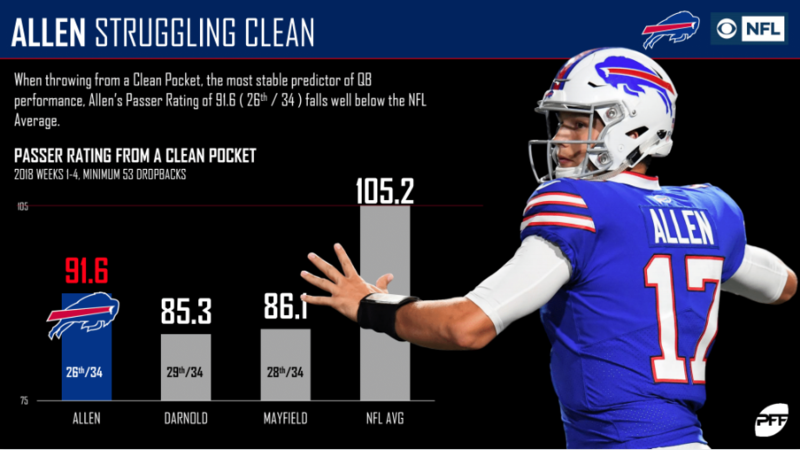 Quarterback Josh Allen‘s 91.6 passer rating from a clean pocket falls well below the NFL average and currently ranks 26th among qualifying quarterbacks. This simply has to improve if the Bills are to have any hope of coming away from Week 5 with a victory. 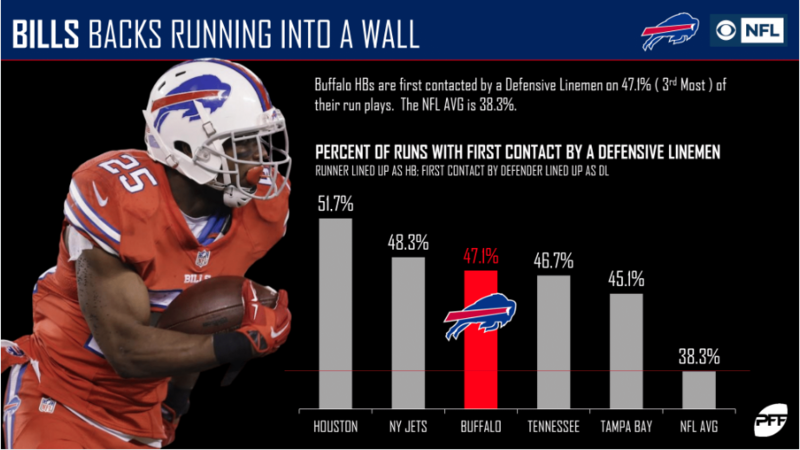 Buffalo’s running backs are being contacted by a defensive lineman on 47.1% of their running plays so far this season, which is the third-highest rate in the NFL. 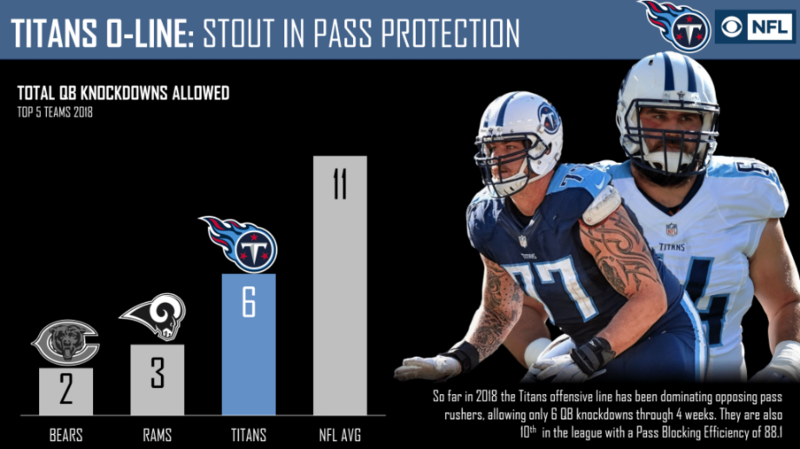 Life won’t be easy against the Titans and their star run stuffer, Jurrell Casey. 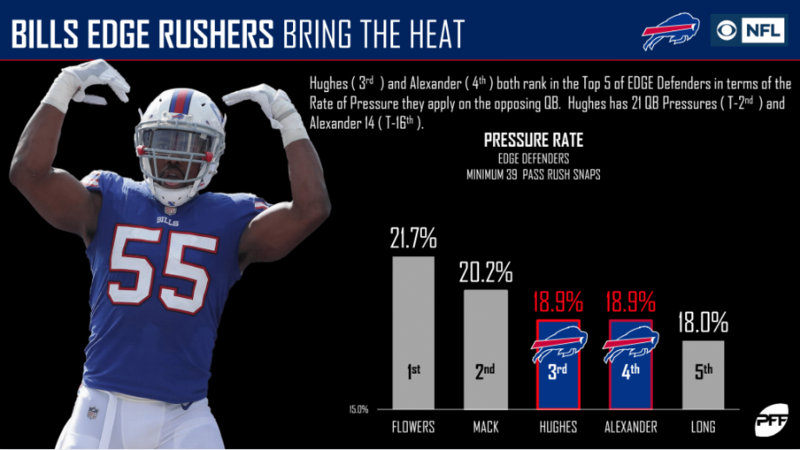 Jerry Hughes and Lorenzo Alexander both rank in the top five among edge rushers in terms of pressure percentage. It’s going to be fascinating to see how they fare against the Titans’ offensive line. 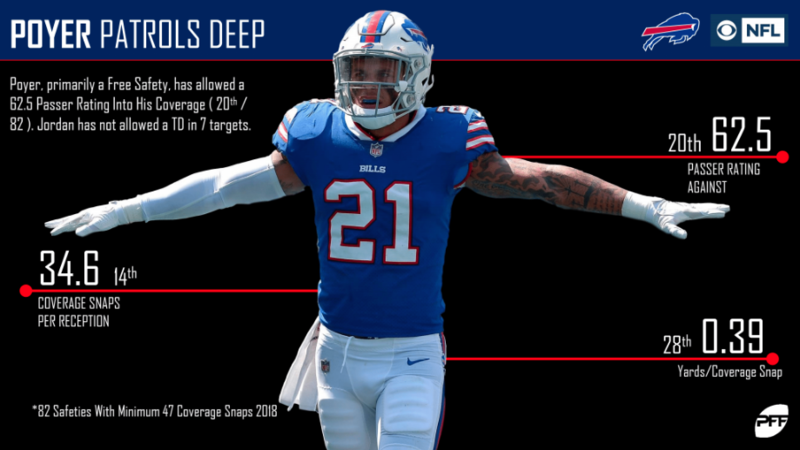 Jordan Poyer, primarily a free safety, has allowed a passer rating of just 62.5 on throws into his primary coverage this year and is yet to allow a touchdown reception. 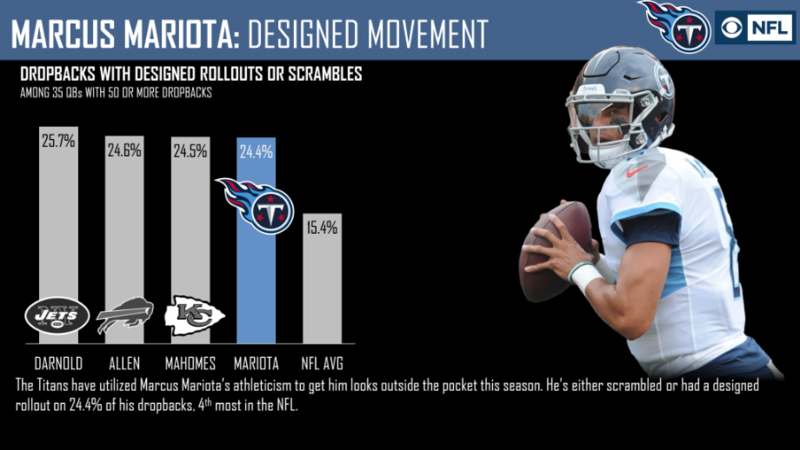 24.2% of Marcus Mariota‘s dropbacks have been either a designed rollout or scramble, which is the third-highest rate in the league. The Bills better be prepared for his movements on Sunday. The Titans offensive line play has been good through four games. As a unit, they’ve allowed just six total quarterback knockdowns and currently rank 10th in league with a pass-blocking efficiency of 88.1. 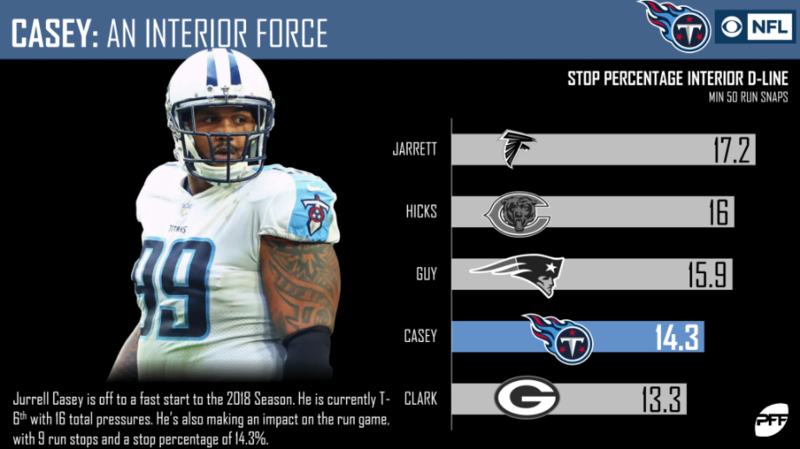 Jurrell Casey has got off to a fast start to the 2018 season, especially against the run, where he’s posted a run stop percentage of 14.3% – the fourth-best mark among interior defensive linemen. 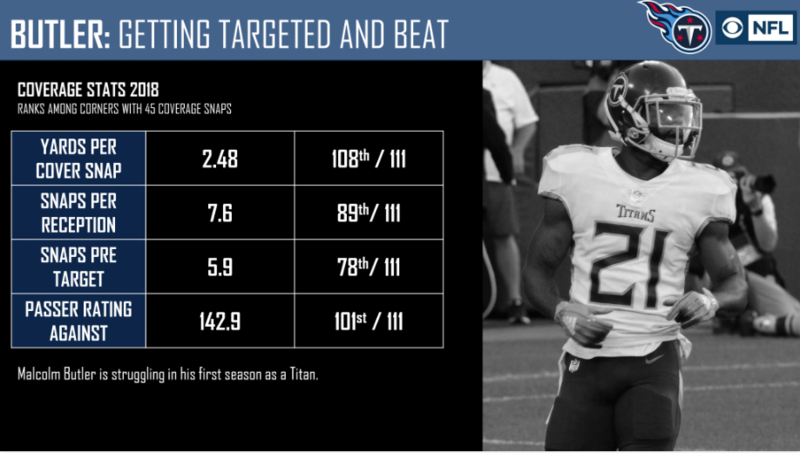 New signing Malcolm Butler has had a torrid start to his NFL season so far. He’s currently ranked well below the NFL average in most of our metrics and has most notably allowed a near-perfect 142.9 passer rating on throws into his primary coverage. Will Butler return to form on Sunday, or will it be more of the same?